The Henry Spink Foundation would very much like to hear from you if you can contribute to our database of information. If you have an experience, recommendation or any information which you feel we should know about, please let us know. 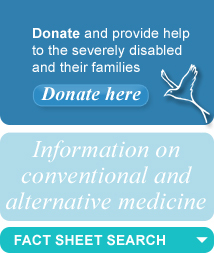 A typical entry in our database will include the names of related disorders, syndromes and rare conditions; the names of international research, educational and treatment centres; subjects and sources of research; conventional and alternative therapies; the names of therapists and therapy centres; charitable organisations, information services and support groups. Please contact us with details of personal experiences, research programmes, trial results, drug developments, nutritional therapies, specialist clinics, therapy centres and related topics. We also welcome information from organisations large and small working with particular disabilities or patient groups.